As usual, it’s been busy at Keep It Thimble this week! But this week had not one, but two special events that I have been anticipating for a long time. 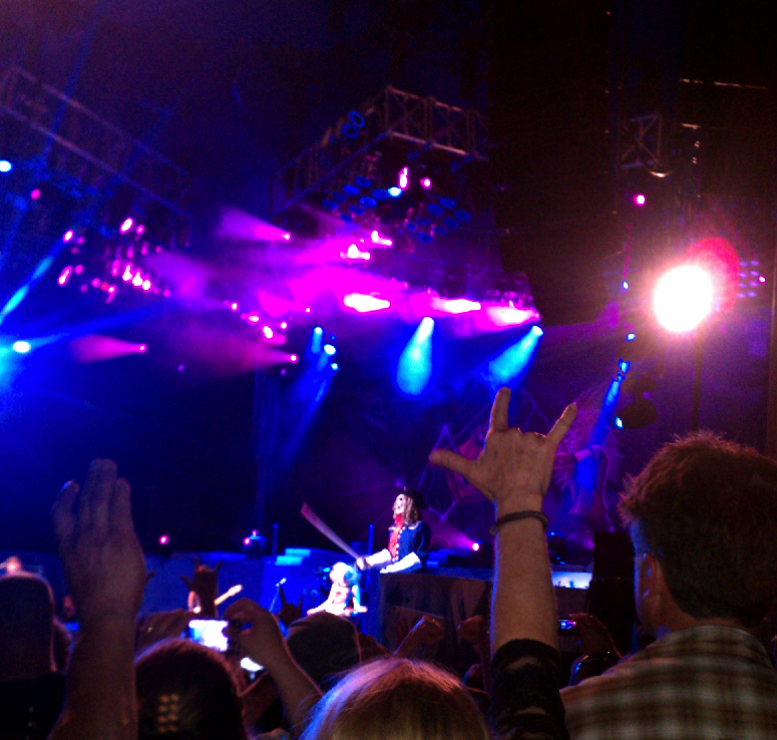 Iron Maiden took the stage at 9pm sharp and rocked out for 2 solid hours without a break. For a bunch of dudes in their mid-fifties, it’s amazing how much energy they have. This tour was a retrospective of their music, so they played a lot of fan favorites. The stage show featured amazing pyrotechnics, a 10 foot tall Eddie, a phantom organist, a feast of other visual sights and sounds, and of course Bruce Dickson dancing and running all over the stage. Definitely worth the price of admission. We got home very late that night, but I was able to catch a few hours sleep before my next exciting event – the Sewing Expo at the Raleigh convention center! I have been waiting for years for the Sewing Expo to come to Raleigh and so I was thrilled when I found out it was going to be here in June. The expo featured several local vendors and some from places as far away as Oregon, Wisconsin, Florida and Texas. My favorite booth, hands down, was Lisa Bonegan’s “Primitive Gatherings” – packed to the brim with wool applique projects, wool, and patterns. And can you see who is in the picture I took at the booth – Ms. Sharon Stewart herself (aka, Liberty Rose). I caught her in the act of making a “few” purchases. 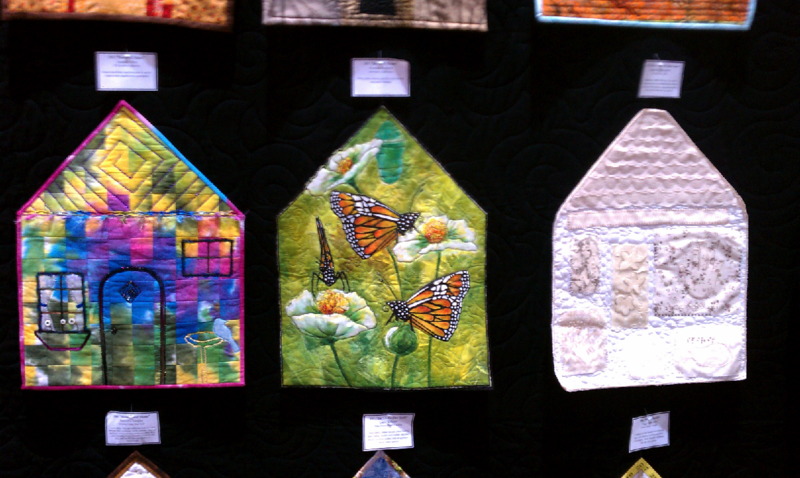 The expo also featured a ton of quilting, sewing, and applique classes. Sadly, I didn’t have time to take any classes, but I plan to do so the next time it is in town. 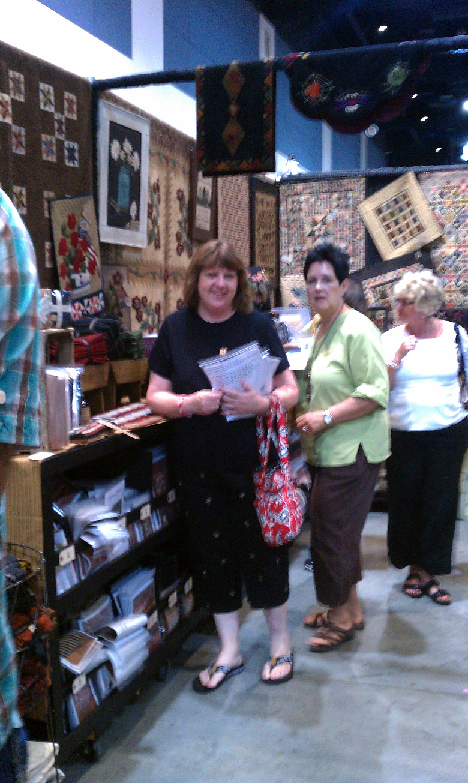 They also had a quilt show feature Quilts of Valor and several quilts from various McCall’s contest. My favorite display was the “There’s No Place Like Home” one which featured about 100 different blocks shaped like a houses. I thought this was a cute idea I might try for some type of online quilting activity. What do you think? This entry was posted in Craft Shows, Miscellaneous, Travel, Vintage. Bookmark the permalink. Hehe, I hope you enjoyed the Elvis Costello show! Looks like you had great seats for the concert. Too bad you couldn’t relay some of the music. 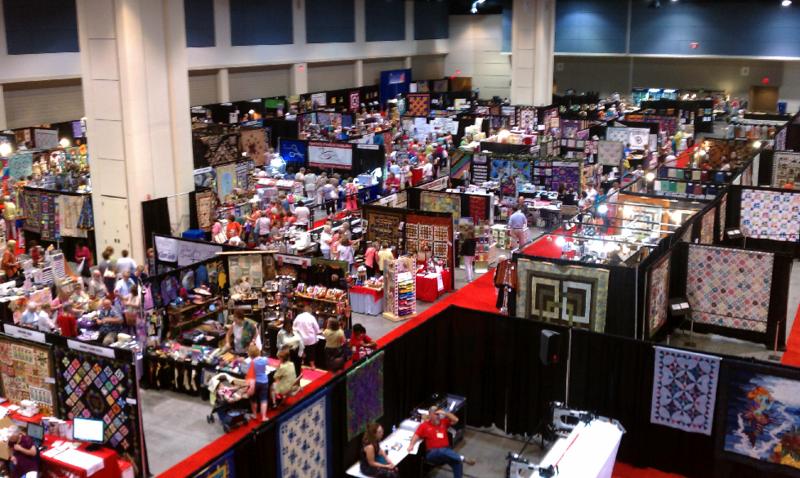 The sewing expo looked larger than I had imagined. I know that was fun and filled with new ideas. I really do like the house idea. Are you interested in making a house block 🙂 ?